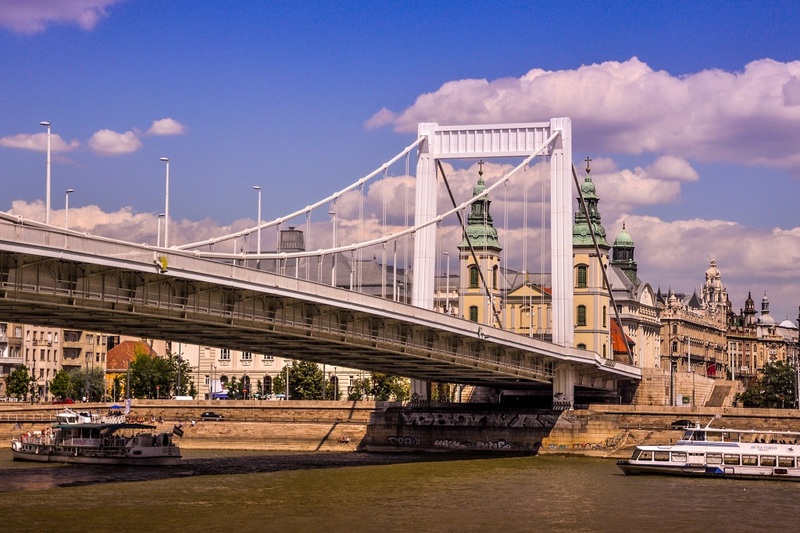 From the historic to the modern, a number of crossings can be found across the Danube providing essential connections between the two halves of the city: Buda and Pest. Some are well known landmarks while others take on a more practical role. Each one forms a crucial part of the city’s landscape. 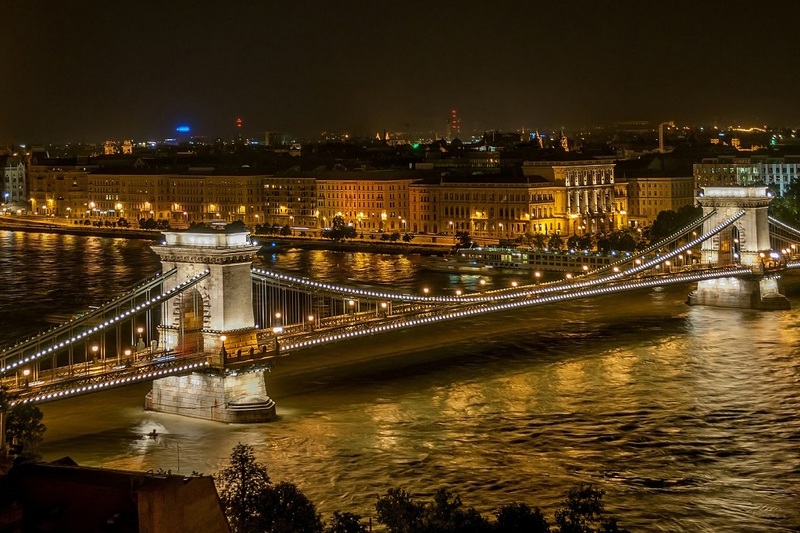 One of Budapest’s most iconic architectural landmarks, the Chain Bridge was the first permanent crossing connecting Buda to Pest and runs from the Four Seasons Gresham Palace to the bottom of Castle Hill. Architecturally striking, it was opened in 1849 to a great fanfare after nine years of construction. English engineer William Tierney Clark designed the bridge, while Scottish Engineer Adam Clark oversaw its creation. The bridge features stone lion sculptures at each end. The lions do have tongues but they are not visible from below. Legend has it that upon completion and opening of the bridge, Adam Clark was so embarrassed by his tongue-less lions that he jumped from the bridge to his death! Built of stone and cast iron, the chains which give the bridge its name are suspended between two classicist style river piers, both 48m in height. Pedestrian walkways on either side of the bridge allow visitors to admire its architecture at close quarters, while also enjoying stunning views over Budapest. The second oldest bridge in Budapest, Margit Híd connects Pest to Buda via Margaret Island. French engineer Ernest Gouin was behind its design, which was largely made possible thanks to funds collected in the form of tolls on the Chain Bridge. Six arches are connected by seven pillars, on which can be seen sculptures by French artist Thabard. Subtle and unimposing, the bridge seamlessly blends in with its environment providing a functional crossing over the Danube with a relatively understated aesthetic. As well as being blown up by retreating Germans at the end of the Second World War, the bridge suffered an unexplained explosion during rush hour on November 4, 1944. Hundreds lost their lives in the accident, which occurred on the Pest side of the bridge. Budapest’s shortest bridge, this crossing connects the two sides of the city between two universities: Corvinus University of Budapest and the Budapest University of Technology and Economics. Built according to the design of architect János Feketeházy, the bridge opened in celebration of the 1000th birthday of Hungary in 1896. 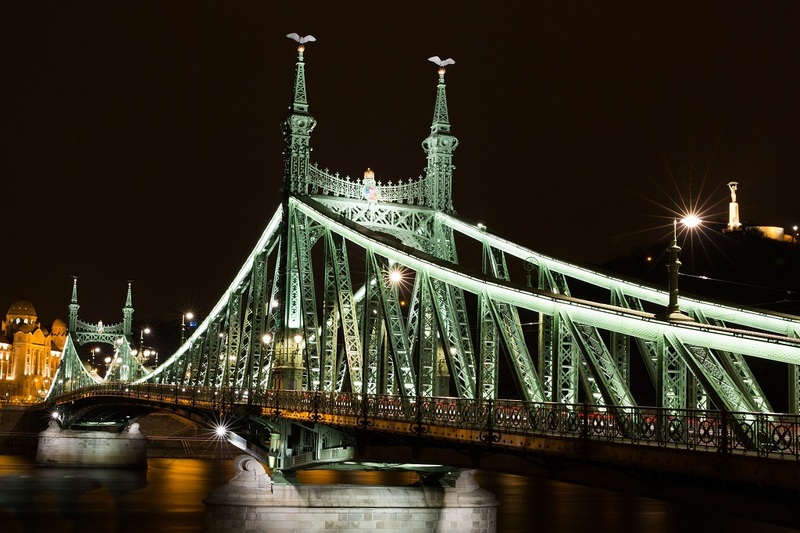 Structurally, the bridge is a cantilever bridge with an Art Nouveau style truss – although on first glance, it looks like a chain bridge. After its destruction during the Second World War, the bridge was the first in the city to be rebuilt and was reopened in 1946 according to the original design. 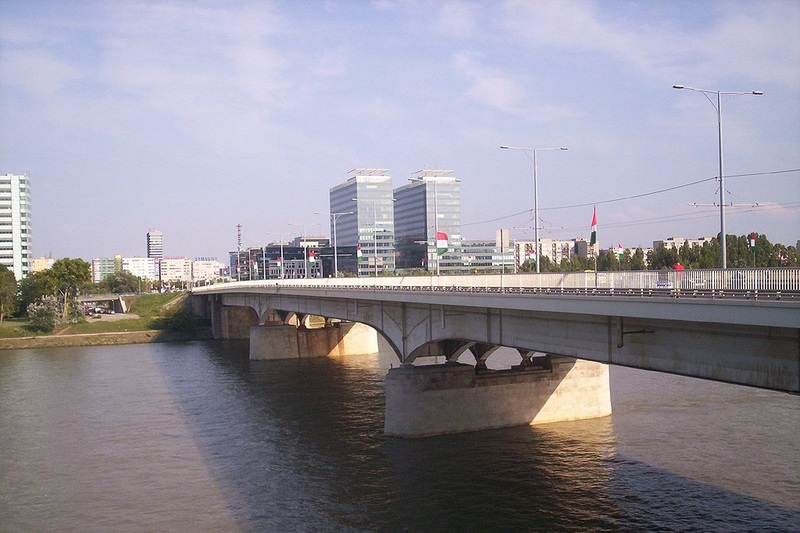 Currently, the bridge allows road traffic to cross and is a busy thoroughfare between Buda and Pest. However thanks to renovation works during the summer of 2016, the bridge was pedestrianised for two months, allowing the bridge to be enjoyed for yoga sessions, picnics and more – sparking calls for it to remain this way. One of Budapest’s newer bridges (its third newest, to be precise), this narrow crossing between Buda and Pest was originally constructed as a chain bridge and opened in 1903. Its namesake was Queen Elisabeth of Bavaria, and her statue can be found at the Buda end of the bridge. After it was destroyed during the Second World War, the bridge was the only one in the city to be rebuilt in a new style. Pál Sávoly was the architect behind the more recent design of the bridge, which reopened in 1964 and features a number of white cables and suspension bridge technology. 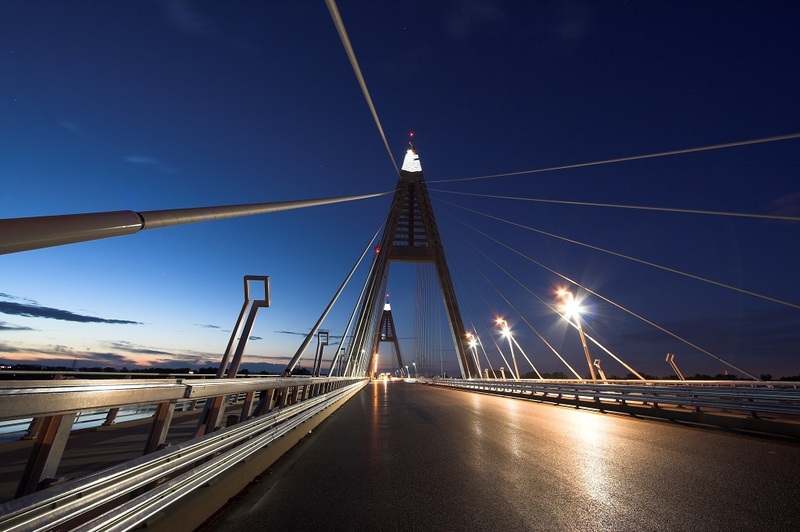 The bridge has not been without its controversies: its original construction was tinged with a corruption scandal, while the modern day bridge has been the site of a number of accidents due to a sharp turn at one end. Elisabeth Bridge (Erzsébet híd), Budapest, Hungary | © PIVISO / Flickr cc. Connecting Boráros tér on the Pest side of the city with Goldmann Görgy tér in Buda, this unassuming bridge in Southern Budapest was built according to practicality, at a time when Hungary was suffering the economic difficulties sparked by World War 1. A truss bridge originally called the Horthy Miklós Bridge, it was renamed Petöfi Híd after being reconstructed in 1952 (having been blown up during WWII). Its namesake is well known Hungarian poet Sandor Petőfi. 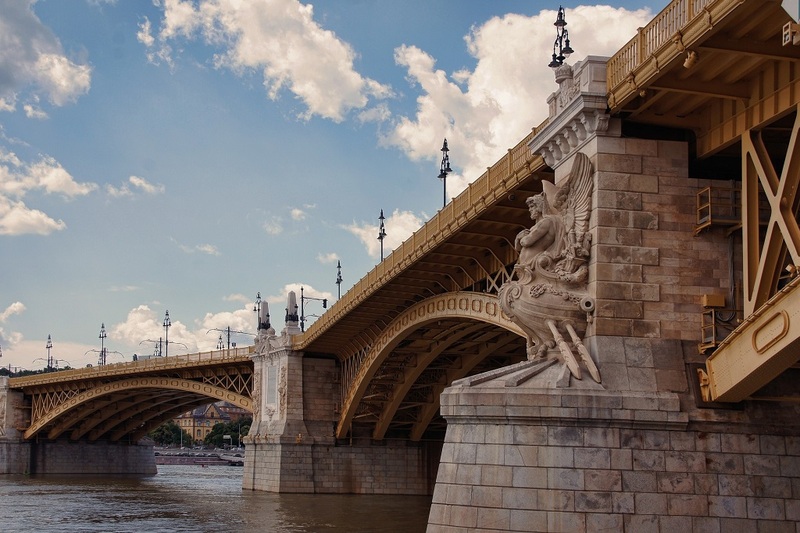 Named after Magyar prince Grand Prince Árpád (seen by many as the founder of Hungary), this bridge connects Óbuda with Pest and is a busy thoroughfare between the two. World War Two interrupted construction of the bridge which, as a result, took 11 years. Upon its completion under the Communist regime, the bridge was named Stalin Bridge. It reverted to it’s originally intended name in 1958. Built as a beam bridge, during the 1980s the bridge was modernized and expanded and today stands at 35.4m wide with six traffic lanes and two tram lines. 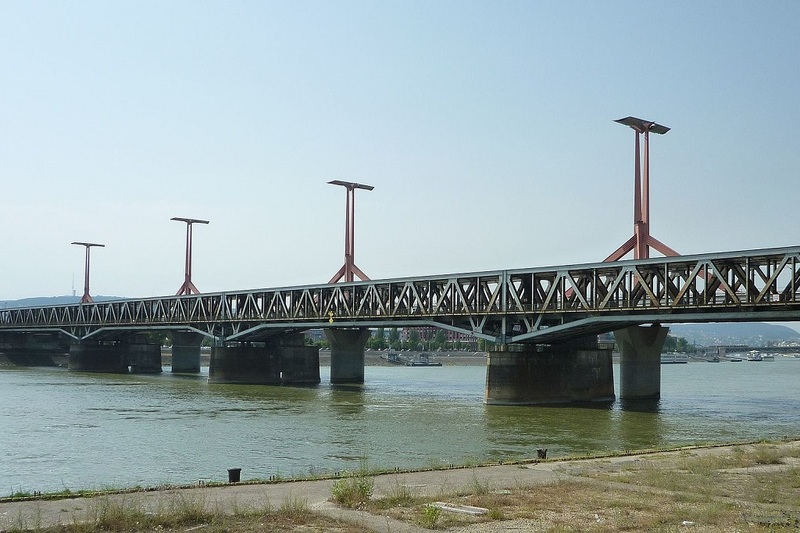 This steel girder bridge is the southernmost bridge in Budapest and was opened in 1995. 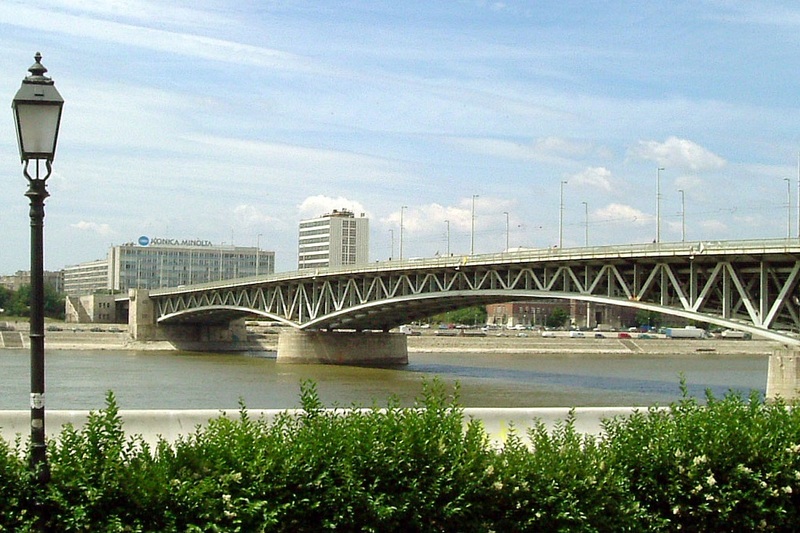 Originally named after the Buda district of Lágymányos, which the bridge connects with Pest, it was eventually renamed after the noble Rákóczi family. It is still commonly referred to by its original name of Lágymányosi Híd. On the Pest side, a number of musical, artistic and theatrical venues can be found including the Hungarian National Theatre, MÜPA and the Palace of Arts. The newest and longest bridge in Budapest, this cable stayed bridge is composed of five sections and reaches a total height of 100m (328 ft). While plans for its creation were already being considering during the 1990s, it wasn’t until 2006 that construction began. To decide the bridge’s ultimate title a poll was launched, with anyone allowed to propose an option. American comedian Stephen Colbert unexpectedly won the vote, with his suggestion of Stephen Colbert híd. However, ultimately the name of Megyeri Híd was settled upon despite it not placing highly in the contest.